When it comes to finding a reliable Brampton Locksmith, FC Locksmith is the only call you need to make. For years we’ve helped the people of Brampton, Ontario, with all of their locksmith needs. We’ve cut their keys. We’ve fixed their locks. We’ve even gained access to their property when keys were lost. Sometimes it took the picking of a lock, sometimes it took the opening of a window, and sometimes it meant cutting a key from a broken model. But we got them in. 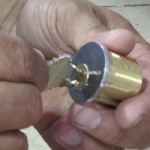 FC Locksmith offers locksmith services to residents and commercial businesses across Brampton. As well as the tasks mentioned above, we provide full installation of lock, doors, alarms, and high-spec safes, as well as repair and replacement of each. 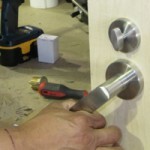 Our team of locksmiths is able to attend at a time that is suited to your schedule. We offer on-the-day bookings as well as appointments days, weeks, or even months in advance. Most people find that within the week works fine. As well as attending the needs of businesses and residents, FC Locksmith also provides an automotive locksmith service for those locked out or experiencing problems with their vehicle locks. FC Locksmith doesn’t just provide the people of Brampton with a scheduled service, but also offers an emergency locksmith service available any time of day or night. This 24-hour service is available simply by calling our hotline. Once we have your details, we’ll get a fully-trained and approved locksmith to you as soon as possible, which is very soon in most cases. As well as providing locksmith services to the people of Brampton, FC Locksmith also serves the Peel Region’s other municipalities of Caledon and Mississauga.